A medical romance about a woman obsessed with hormones and a man with a bad temper, Risky Romance is a push and pull love with a hospital as its backdrop. 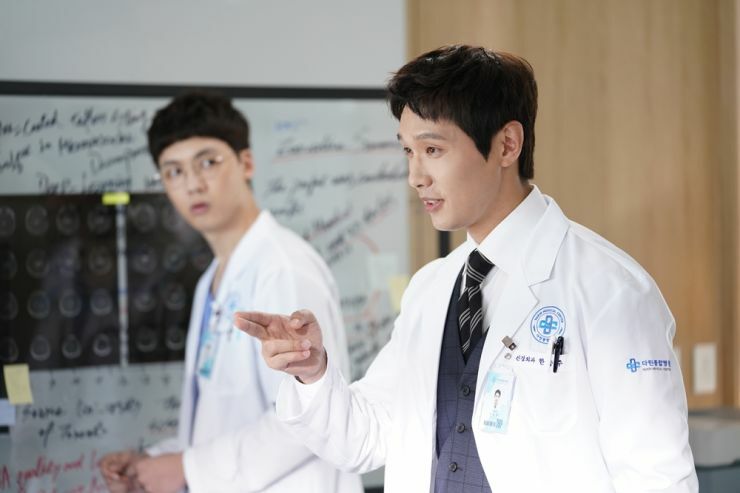 Han Seung-Joo (Ji hyun-Woo) is a Neurosurgeon with great abilities but has a nasty temper, his personality changing for the worse after the death of his friend and undergoing brain surgery from a collision. 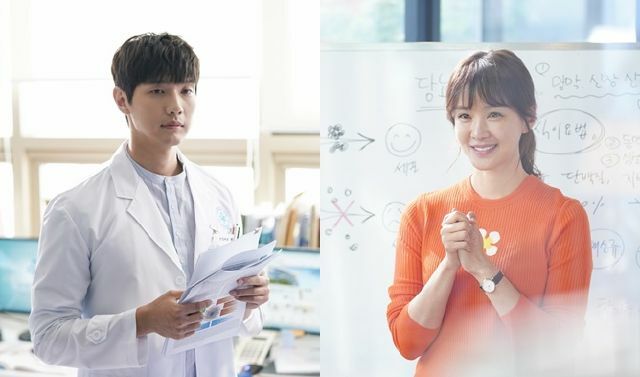 He vows to get to the bottom of his friend's grief that drove him to drink and drive, discovering that Joo In-Ah (Lee Si-Young) an Endocrinologist at the same hospital is the woman his friend was in love with. In-Ah is bright and optimistic, looking after the needs of her patients and tenaciously pursues them to undergo tests if she has an inkling of doubt. She gets assigned to the prickly Seung-Joo to look after him and find out why his personality has turned rotten at the request of a head surgeon in the neurology department. All right, so there's definitely pros and cons to this drama that are clearly presented in the premiere, and one of them happens to be the spiteful male lead. I understand that he's under emotional distress but literally smashing someone's car with a golf club and trying to tear down doors is simply ridiculous. He claims to be his own doctor, being capable to self-diagnose himself but I doubt doctors would ever act the way Seung-Joo does. His need to lash out physically even to his subordinates infuriates me so his character development better come quick, or I might seriously punch my screen out (but I'm even less of a fan of In-Ah's sister who needs to take her tone and attitude down several notches). I hope his character development comes sooner rather than later, or he redeems himself during the second week because I do love the chemistry between Ji Hyun-Woo and Lee Si-Young since their bickering is such an entertaining watch. It's natural and not forced, and the entire setting of being in a hospital as career oriented individuals means there's no star-crossed lovers' phenomena happening. A lot of people seem to have mixed feelings about Joo In-Ah as a character but I find her fun and dorky, truly obsessed with hormones. She's on the bumbling side but I would never label her stupid since she's masking a tremendous amount of grief behind her smile and easy-going demeanour. Lee Si-Young is doing a great job cracking emotionally to show us In-Ah's sadness in moments that really count. She hides her pain while Seung-Joon expresses it openly through his anger and aggression, and this contrast is received through the drama's style when the viewer sees Seung-Joon and In-Ah respectively on screen. The writers are clearly making a point here and it's coming across. And as I dissect our leads, it's also apparent that they're not really 'new' or something entirely unfamiliar. 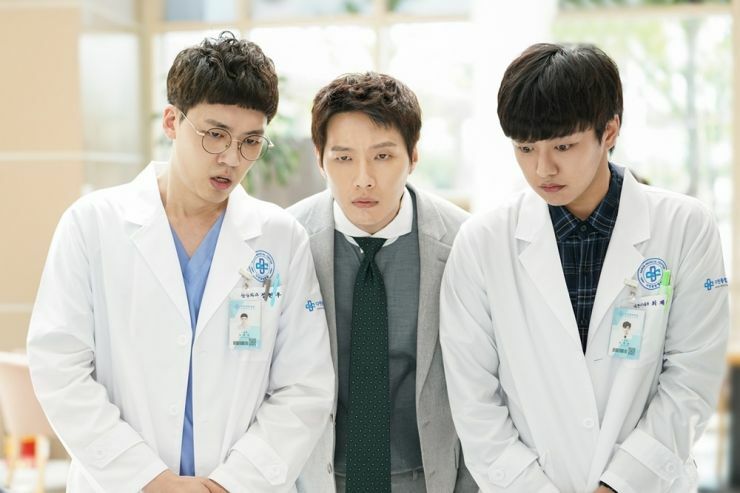 I think the obsession with hormones is definitely a new take for a medical show but the characters themselves are ones you can easily find in K-dramas. They're both competitive, opposites, and mending broken wounds. 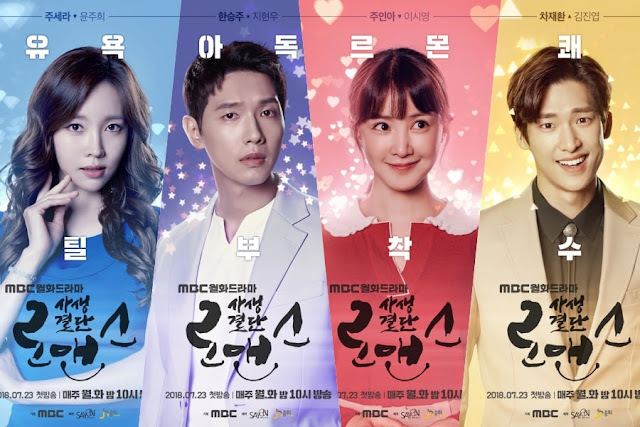 I prefer the comedy in this one more than the melodramatic moments surrounding the death of Seung-Joon's friend since they're using death (once again) to create an antagonistic climate between the leads and once misunderstandings clear, they'll fall in love or gradually cave to their feelings. I don't mind the setup and I hope the show surprises me with unexpected things but I wish it wasn't so predictable. I definitely like how the medical aspect is shoved to the back of the list and isn't prioritized as much with a slew of surgeries, and really focuses on the leads to give us background information and establish their hostile relationship. The pacing is good and overall, the premiere wasn't bad at all. I wouldn't declare this a hit series since there's good things about it and bad things as well. The actors are definitely well-known and the drama is light and fun so far, so what I'm really worried about is what will happen down the line as the story progresses. I'd say give this a try, especially if you're into medical rom-coms and decide if the pros weigh more than the cons.